Lightest just got lighter! We were not satisfied (we never are) with our previous wheels and decided that we could shave more weight, increase stiffness and durability all at the same time. After 6 years and 7 variations of the S2.0s and coming out with a new lighter and wider rim in the previous iteration, we now introduce our R17 hubs for the S2.0s! Wider, stronger and lighter at an actual weight of 1290g/pair, shaving 20g off the previous version, it continues to be one of the lightest full aluminium clincher wheelset in the world straight out of the box. 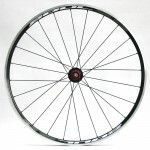 In fact it rivals alot of carbon wheels too. 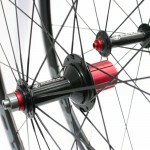 It’s been 2 years since we updated our wheels and after feedback and extensive riding/ testing we decided to refine our hubset with the release of the new R17. It features a new preloaded rear hub axle which is 17mm in diameter. The increase in diameter not only increases the torsional stiffness of the rear wheel, but at 17mm is one of the biggest rear axles in the market. 17mm axle doesn’t only mean stiffer, but it also means bigger bearings that are more durable, and spin smoother. 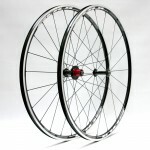 The entire rear hub has been refined, using a ‘through axle’ pre-loaded on one side. Rear NDS flange has been increased in thickness to provide more support for the J-bend spokes again reducing twisting and premature fatigue. All new rubber seals are included for both the front and rear wheels to increase bearing life, something not seen at all in many hubs. 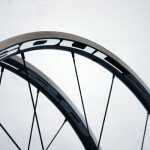 The rims continue to be proprietary and weight aproximately 400g. 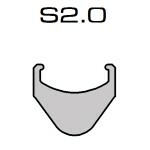 We adopted a 23mm wide rim width in order to assure compatibility with all brakes and frames. 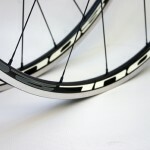 The wider rim allows for a better and smoother transition with clincher tyres. They also allow for a smoother ride as they can be run at a lower pressure. They are built strong enough for everyday training and light enough for climb specific races. 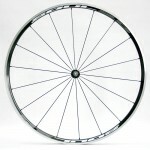 Spinup is quick because of the lightweight rims which reduce rotational weight. 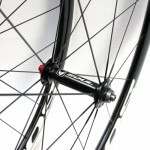 With a wider rim section, lower spoke count and bladed spokes, the wheels now hold higher speeds better, have more traction through corners and are stiffer compared to the older versions. One of the best upgrades your bike will get if losing weight is your goal. 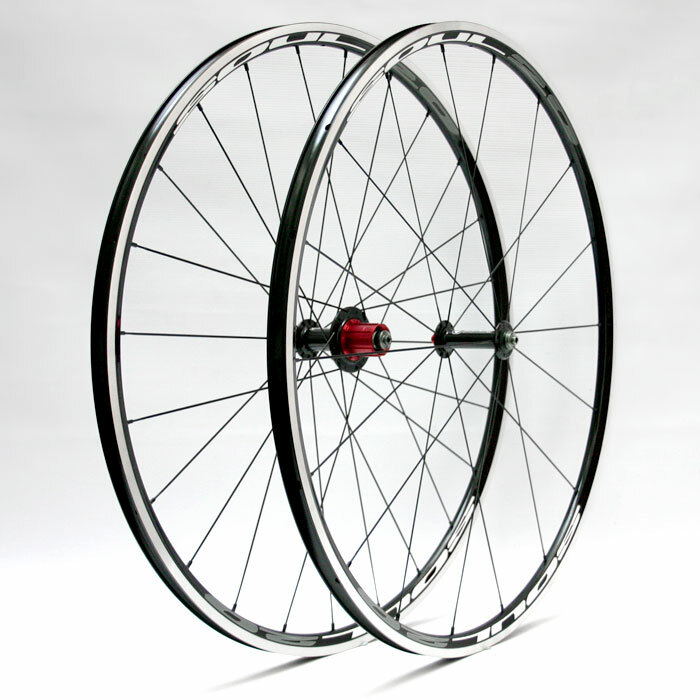 Did we mention they are one of the lightest aluminium wheelsets in the market? I think we did but just in case you missed it the first time.